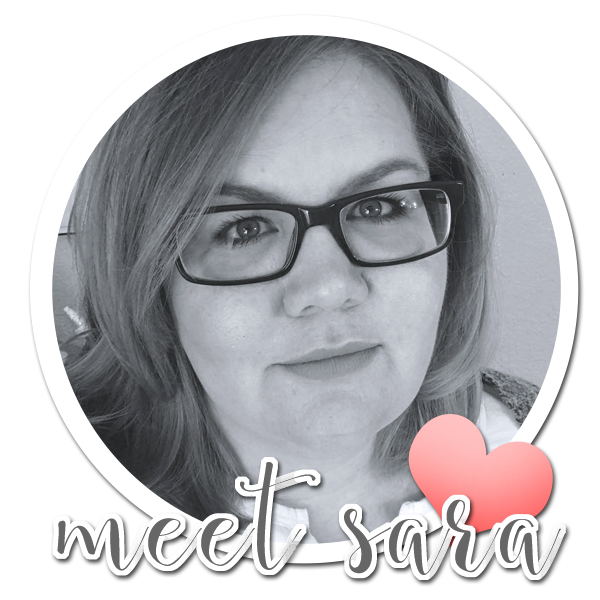 Much love, Sara | Cards & Paper projects made with love: Media Mix SALE! I'm so excited about this month's Fun Stampers Journey promotion! It's Media Mix! 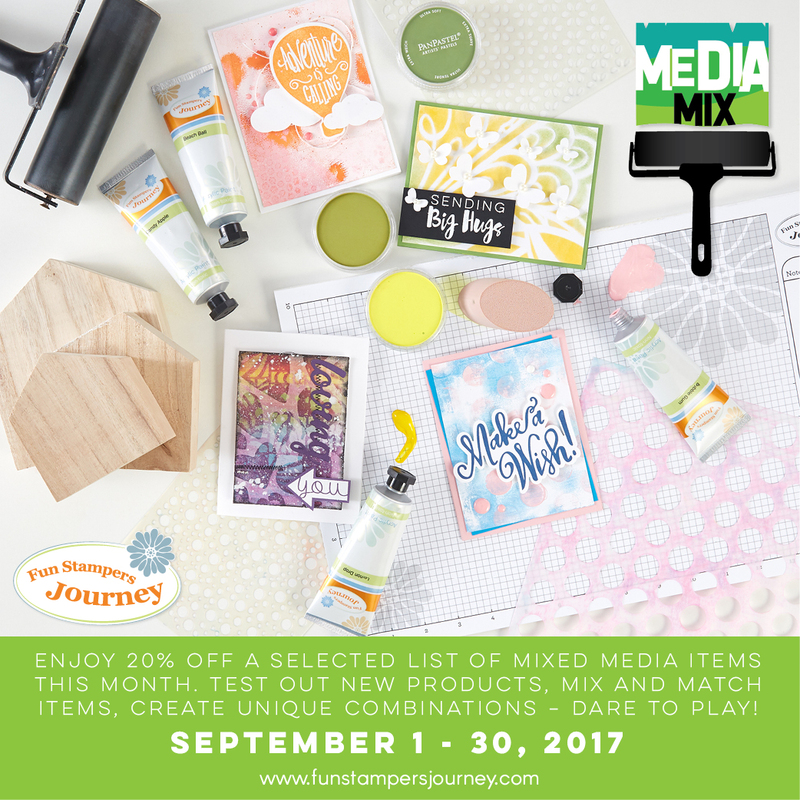 There's savings on so many fun media items. Our PAN PASTELS are on special, as well as stencils, paints and our GEL PRESS! 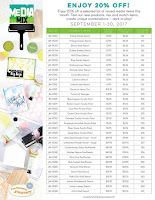 This is an amazing special for those who love playing and making a mess as they create (and while that might not sound like fun to some, believe me - it is SO much fun!). Here are the lists of the specific items on special this month. 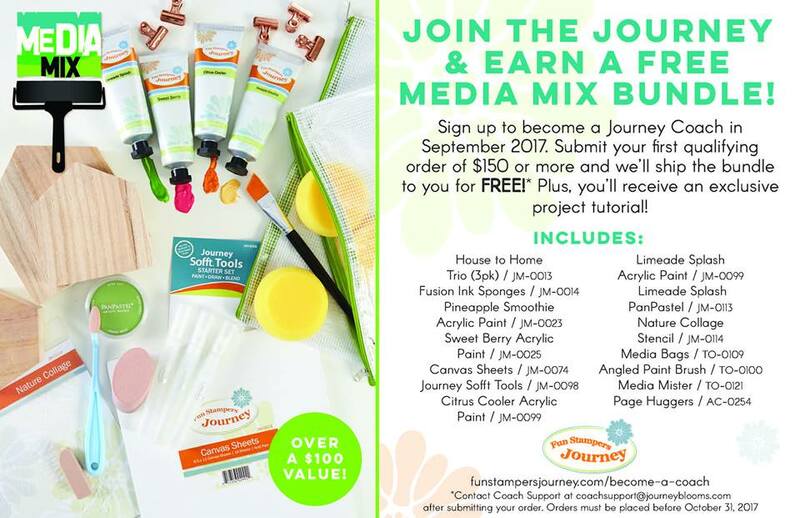 And if you are interested in becoming a Fun Stampers Journey coach (I'd love to have you on my team! 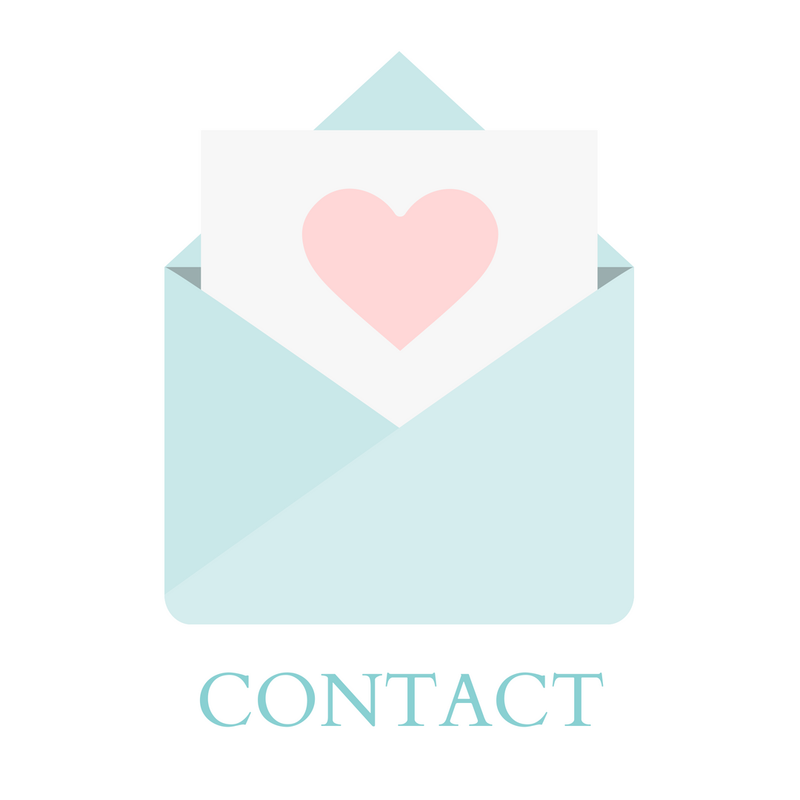 ), there's a special promotion for you. If you join in September, and place your first qualifying order by October 31st, you will get a Media Mix bundle for FREE! Your qualifying order does not have to be Media, you can purchase cardstock, stamps, or ink in that $150 order.